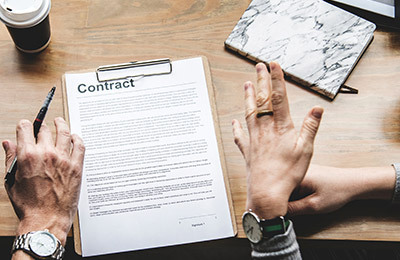 While it's true that every construction project is different, effectively negotiated contracts that protect against potentially devastating disputes consistently ensure the best possible outcome for your client, whether they are an owner, a contractor or a subcontractor. This information-packed program covers some of the most hotly negotiated elements of construction contracts from multiple perspectives. You will not only understand what the other side wants when negotiating a contract, but how to use this knowledge to better represent your clients. Gain the knowledge and practical tools you need to protect your client's interests when creating a construction agreement. Register today! Effectively negotiate better pay-if-paid clauses by understanding the other side's perspective. Evaluate different standard contract change order language and modify it to best benefit your client. Recognize potentially harmful indemnity clause language and know how to tailor it to suit your client's best interests. Ensure that contracts contain the necessary insurance provisions to protect your clients. Find out how AIA mutual consequential damage waivers fall short and also appropriate alternatives to them. This program is designed for attorneys. Paralegals may also benefit. Types of Contracts: Lump Sum, Cost Plus, Etc. Indemnity, Insurance and Warranty Boilerplate Clauses: Is Your Client Protected? Indemnity Clauses: Are They One-Sided? Insurance Clauses: Do They Fit the Deal?